Everything you need to know about visiting Fairchild Tropical Botanic Garden (10901 Old Cutler Rd, Coral Gables). You can have your wedding or private event held at one of numerous reception areas on Fairchild’s 83-acre property. Fairchild also offers its own team of event planners to help coordinate things. There are both indoor and outdoor spaces available to rent. To inquire about hosting a wedding or event at Fairchild call 305-667-1651, ext. 3358. 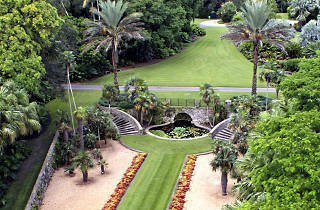 While Fairchild is essentially a stunningly beautiful garden, it was founded with serious intentions. Its main mission is the conservation and preservation of tropical plants. Fairchild shares its scientific process with everyone who walks through its doors and hosts field trips and camps for kids to learn everything they can about botany. Every five years the garden is home to a rare plant phenomenon: the blooming of the amorphophallus titanum, a gigantic single bloom as large as a person, which emits the powerful stench of rotting flesh to attract insects for pollination. It might not sound luxurious but it's a rare opportunity to see a natural phenomenon few ever get to see. Ask the staff when the next bloom is taking place. Our Miami editorial team is constantly updating and reviewing the best attractions, activities and venues across the city, so that you're always in the know, with the best of Miami at your fingertips. 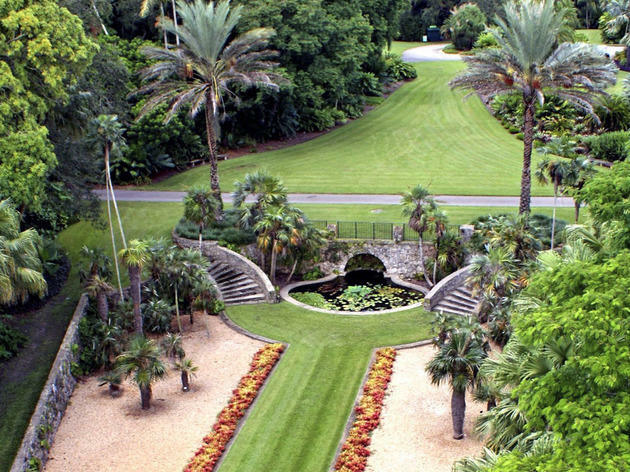 Fairchild Tropical Botanic Garden was most recently updated with new tips on June 29, 2017.